TheUnTicket.com is a site managed by P1’s. The storage and use of our little site has gotten so big over the years, it is getting costly to keep it going. Donations can really help our costs involved, so if you are able to, please help us keep this wonderful audio archive for our favorite station going. To show our appreciation for donations, click the link in Paypal to add a message (shown in image to right), tell us your shirt size and we’ll send you an UnTicket t-shirt. If you don’t want a shirt, don’t add shirt size. Be sure the address used for payment is where you want the shirt sent. Just click the donate button and you will forever be loved…and an UnP1 for life. I don’t think I could get by one day without my “Unticket Fix”. Love the site. I just donated $20. I forgot to add my shirt size…..XL if I can still do that. Thanks Mike! Will be sending out a shirt first of next week. Thanks so much for the donation. Tom Foolery was a character from long ago and the guy who played Tom Foolery actually sent me all of the bits, which I think they’re all posted here. Do a search. Forgot to add my size as well. XL if still possible. Did $20. I know ive seen the Mike’s mind themes before, but i can’t find now. Help?? Got your size and the only theme I found is here http://theunticket.com/audio/drops/mikesmind.mp3 … but I swear I have all of them somewhere. Love the shirt. LOVE the link. I am trying to make a ringtone for when my boss named Mike calls me. Is it a legal issue, or is there a way I can do this? Possible forthcoming donations if you have time to spare! I LOVE THE UNTICKET!!!!! It makes me sad that I have no money to donate right now 🙁 I promise a donation will come soon!!!! In regards to the new bandwidth issues my first question is; if The Ticket requested you to post the shows within 24 hrs, then why aren’t they able to assist with the added expense of the bandwidth required to satisfy the traffic needs of the many? Perhaps, “A Cumulus Station” is the reason? Before I even moved here I was an UnTicket P1. Since being here, I have converted my 24 year old GF into a Ticket P1. I didn’t even have to wake her up in that special way, I mean hell, I just put her to bed that way what do you want from me? In closing I will ask you one thing, do you like your gig? And before you answer, I will interrupt you by saying, do you like giving desperate, satellite transplant P1’s a reason to have internet and a smartphone? Keep it ONE HUNDO. Not Purple, FEETTTTTT. 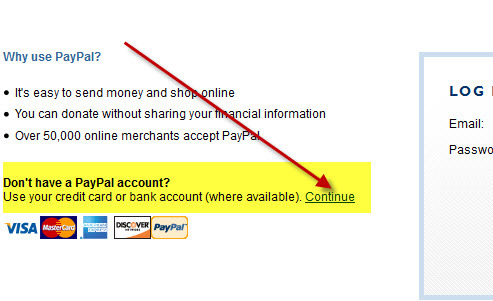 so if i dont have paypal and i want to pay the regular way where do i put my shirt size? i love the unticket. Introduced so many new P1’s here in Denver after moving from DFW using the UnTicket! All the epic greatness in 1 site. Love you guys! Hope the $25 dar helps. I just might donate something if you all would post some of the good stuff that hasn’t been posted, like the latest fake tiger woods from a couple of weeks ago. why hasn’t it been posted??? 🙂 and why wasn’t the last fake Michael Irvin School Closings not posted? Donated! Thank you for keeping this site up. I visit it every single day. Excited to get my shirt, and will wear it proudly.